Softcover, 9 in. x 10 in. 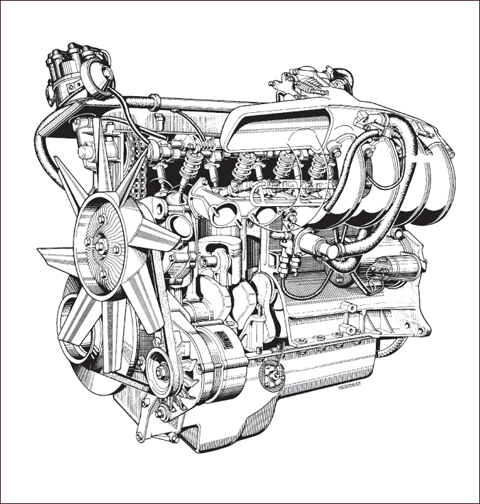 In his BMW 6 Series Enthusiast's Companion, Jeremy Walton presents the history of one of BMW's most revered lines: the "Sixers", from the 3.0 liter, 126 mph 630Csi to the 155 mph M6 35Csi with its fabulous 24-valve motor. Walton discusses 6 Series origins, design and engineering development, racing history, and sales statistics in both America and Europe. 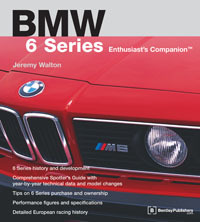 The most comprehensive 6 Series racing history available. Spotter's Guide detailing technical data and year-by-year model changes for all E24 models sold in the U.S., including L6 and M6 models. 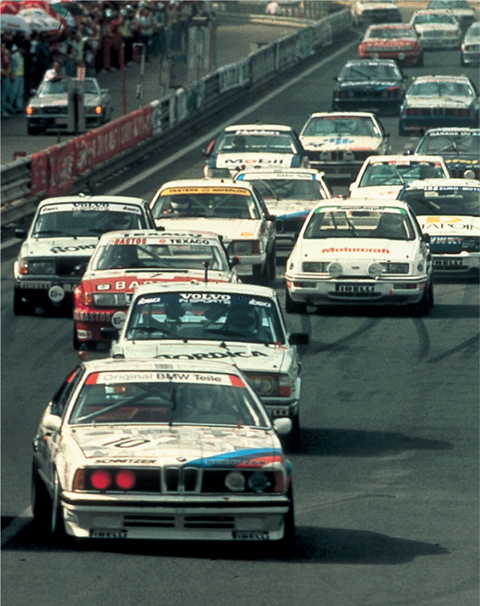 Beautiful Sixer photos from official BMW archives and well-known BMW racing photographers. Official factory performance figures and specs for each year of 6 Series production. Official sales records for both US and European models. You'll learn about the formation of Bayerische Motoren Werke from its late nineteenth century manufacturing origins to its contemporary fame. Devastated by WWII, BMW still managed to become the manufacturer of one of the world's most luxurious and technically sophisticated automobile lines. The evolution of BMW luxury sport coupes leads directly to the 6 Series, as BMW struggles to live up to its own reputation in creating a new legend. The story is fascinating not only for the details that the author's painstaking research and long experience have provided, but also for an understanding of all the influences at work on BMW in the successful creation of a new line. Being a BMW story, racing action is never far away. The exciting story of the 635's underdog role in European racing against the more powerful V12 Jaguars and the "brick-like" Volvo turbos is faithfully detailed. 6 Series racing in Australia is also recorded. It is the story of a sensational showroom coupe that BMW never intended to race but which, in the end, could be proud of a championship pedigree that many purpose built competition cars never equal. It is an amazing story told by an author who was directly involved with the events. The book is generously illustrated with rare photos and line drawings. New to this edition is the tale of the author's own experience in buying and restoring a 6 Series to daily driver status, as well as six appendices filled with useful statistics and information: German production/US sales figures; performance figures; factory backed racing achievements; collectable 6 Series specs; racing chassis numbers and clients, and a comprehensive spotters guide outlining year by year production specifications and changes. The BMW 6 Series Enthusiast's Companion is a must for all 6 Series owners and admirers who are interested in the history and evolution of the big, beautiful Bimmer - the car that seduced so many enthusiasts in the 1970s and 1980s and continues to win hearts across the globe. Winner of a 2000 IAMA Gold medal in the History: Single marque category.